I love it when she puts in her very private piece of life in all her songs. I love her sincere honesty. And admire her courage in inserting a bit of truth from her pain for all of us to ponder. 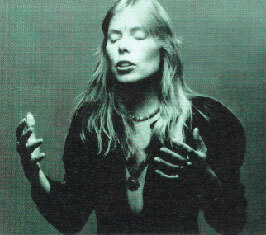 This song is now all Joni! I can not see anyone singing this beautiful piece. I am so proud to share the same birthdate as hers > November 7. I just love this song, so much. I love this song... it is the best! Is it just me or is this a great performance of a great song?